If you're a keen horse rider a riding holiday could be perfect for you. Unlike a lot of other holidays, it gives you the chance to take part in plenty of horse riding throughout your break. It doesn't matter if you're an experienced rider, or a beginner who wants to hone their riding skills, as there are riding holidays to suit a wide range of riding skills. The next section includes some of the best Riding Holiday Centres in the UK. The best location for your riding holiday will often depend on the type of holiday that you've got in mind.The North West of England has the Lake District, and the Isle of Man is nearby.The North of England includes part of the Pennines. The Kimmerston Riding Centre in Northumbria is one of the main ones in the region. Yorkshire has a scenic coastline, the Pennines and two National Parks – the North Yorkshire Moors and the Yorkshire Dales. The Yorkshire Riding Centre is based in North Yorkshire. In West Yorkshire, there is the Longfield Equestrian Centre, and in West Yorkshire, there is the North Humberside Riding Centre. In The East Midlands Leicestershire is famous amongst horse riders as being the foxhunting centre of the Midlands. Famous hunts that have taken place in the area include the Quorn, the Cottesmore and the Belvoir. Derbyshire boasts the Peak District National Park, which is a haven for horse riders. The Northfield Farm and Riding Centre in Buxton is one of the nearest places that offer riding holidays, and there is also the Barleyfields Equestrian Centre in Etwall. Nottinghamshire has the College Farm Equestrian Centre. Lincolnshire is home to The Fens. Leicestershire is full of pretty villages and has the Parkview Leicester Equestrian Centre. Northamptonshire is also picturesque, and has the East Lodge Farm Riding Establishment in Northampton. The West Country usually refers to the counties of Devon, Cornwall, Somerset, Gloucestershire, Dorset and Wiltshire. This area often has much better weather than the rest of the UK, which is one of the reason why it's so popular. There are also several National Parks – namely Dartmoor, and Somerset and Exmoor – which provide lots of spectacular scenery. Somerset's Bodmin Moor is another picturesque area to ride through. Good places to check out include the Collacot Equestrian Centre, the Dean Riding Stables and the Devenish Pit Riding School (all of which are in Devon), Gooseham Barton Riding Stables, the TM International School of Horsemanship and Cornish Riding Holidays (all of which are in Cornwall), the Summerhouse Education and Equitation Centre (Gloucestershire) and Knowle Riding Centre (Somerset). The South East includes London, Kent, Sussex and Surrey. London may not be the first place that springs to mind when you think about riding holidays, but Hyde Park offers a good riding location. In West Sussex, there is the Blackdown Riding Club and the Hangleton Farm Equestrian Centre, and East Sussex has the Mitchells Wood Farm Riding School, the latter of which offers residential camps during the Easter and Summer breaks. In Surrey, Green Lane Stables offer two-hour hacks on Wimbledon Common and Richmond Park. The East of England includes East Anglia, Essex, Cambridgeshire, Hertfordshire, Bedfordshire and Lincolnshire. This area of the UK has lots of scenic parts, especially the Norfolk Broads. It's very picturesque, which makes it perfect for exploring on horseback. In Hertfordshire, there is the Bambers Green Riding Centre and Contessa Riding Centre. In Norfolk, there is the Blackborough End Riding Centre and the West Runton Riding Stable. In Suffolk, there is the Newton Hall Equitation Centre and Valley Farm Riding and Driving Centre. Despite being a small country, Wales has three National Parks, and a wide range of differing landscapes – from mountains to scenic beaches. A few of the main Riding Centres in Wales are Cae lago (Carmarthenshire), Cimla Trekking and Equestrian Centre (West Glamorgan), Pembrokeshire Riding Centre, Snowdonia Riding Stables (Aberwystwyth) and Tregoyd Mountain Riding Holidays (Powys). Scotland is home to lots of green countryside, lochs and hills. Some of the main Riding Centres in Scotland are Appaloosa Holidays (Argyll), Ayrshire Equitation Centre (Ayr), The Gleneagles Equestrian Centre (Perthshire), Hayfield Equestrian Centre (Aberdeen), Highland Riding Centre (Inverness) and the Scottish Equestrian Centre and Hotel (Strathclyde). 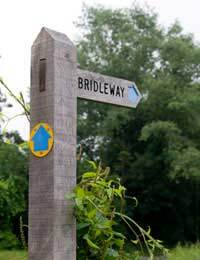 Wherever you choose to go for your riding holiday, make sure that you choose a Riding Establishment that has been approved by the British Horse Society (BHS).